The Great Notts Show isn’t just about great food, real ale and live music. 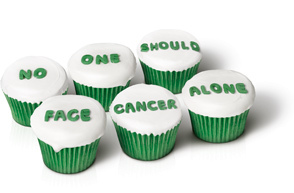 It is also about supporting fantastic charities such as Macmillan to help them keep doing the good work they do. One in Three of us will get Cancer at some point in our lives and I am sure most people reading this have experienced this vicious disease in some way. But Macmillan is there for anyone suffering whether it be family support, financial help or just someone to talk to everything they do is an amazing help and we couldn’t think of a better company to support. In 2012 Macmillan supported 5.7 million people which is a huge amount it included friends, family and people suffering themselves, this was only possible with the huge number of voluntary donations from events such as ours and many others. With 98% of their income sourced this way it is so important that they continue to get the support they deserve. We hope what we donate is a real help to people who need it. You can also find a Macmillan stall at the show so if they have ever helped you, you need help or you just love what they are doing get over there and tell them!